At Dickerson we understand the importance of cultivating safety both on and off the job site. Our experience constructing ISFSIs and other energy related projects are complimented by our commitment to a safe and effective work place tailored to a company culture of best safety management practices and zero tolerance policies. Dickerson has completed over 300,000 man-hours of no lost time due to accidents or injuries while working on ISFSI and related projects for nuclear facilities. With over 60 years of experience as a full service contractor, Dickerson appreciates the high standards of safety celebrated in the nuclear energy community. We consider our safety record and environmental awareness to be hallmarks of our continued success on projects with new and repeat customers. Adhere to strict zero-tolerance safety policies. Follow best safety management practices with an emphasis on employee screening, training and daily accident prevention. Approach each and every job with a strong environmental awareness of the wildlife and sea life that inhabit our work areas. Implement a strict onsite pollution prevention policy, with constant monitoring of our work areas. 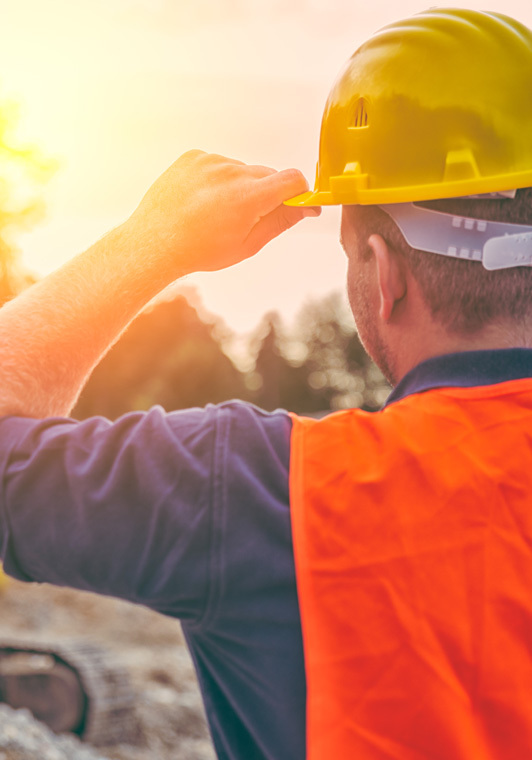 Provide field staff with extensive experience and training with many employees possessing ATSSA worksite traffic safety, OSHA certifications, NPDES Storm water inspection, CPR and basic first aid training. Comply with the Drug Free Workplace Act in order to promote a safe and secure workplace for our project owners, our subcontractors, and our teams.